A new residential development in Tampa promises a luxury lifestyle, plenty of amenities, a location that is central to all, and second to none, and direct, deepwater access to the Gulf of Mexico. The Westshore Marina District is a 52-acre mixed-use, masterplanned community that sits on 1.5 miles of wide open waterfront. Residents may choose from spacious two-, three- and four-bedroom floor plans found within the marina-fronting condominiums that comprise Marina Pointe, a 16-story tower with 113 units and seven townhouses. This Westshore high-rise property has features and facilities that are unparalleled. It also provides proximity that places docks and dozens of boat slips, built within a protected, deepwater yacht basin, just steps from the entrance. Project plans call for apartments as well as commercial space for restaurants, retail and professional services. 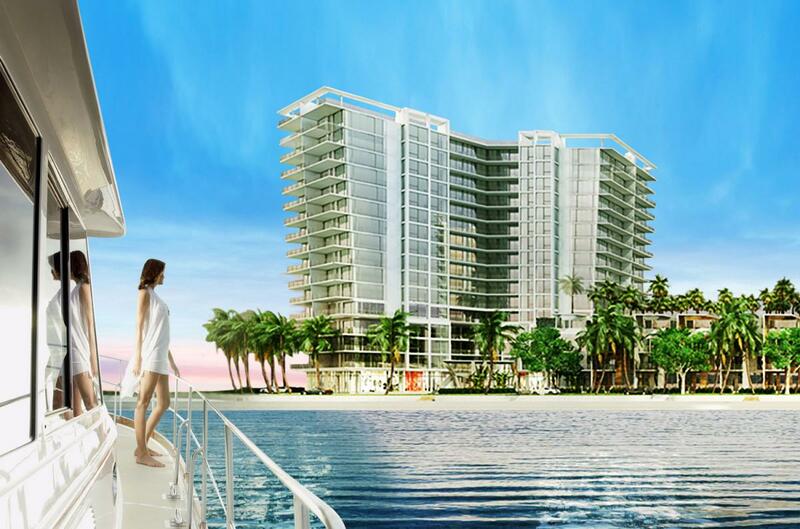 Marina Pointe, one of three towers proposed for the property, is located near the intersection of Gandy and Westshore boulevards. Rising on the Tampa side of the Gandy Bridge, it is a distinctive and distinguished addition to the landscape bordering Old Tampa Bay. Plans call for grounds surrounding buildings to encompass parks, green space and dedicated exercise areas for dogs. Fitness buffs of the human sort will enjoy hiking and biking paths plus participating in classes or booking personal training sessions held at the on-site fitness studios. What a way to start and end a day, waking up to bay views and then celebrating the sunset. Homeowners will enjoy it all from dwellings featuring flow-through floor plans and floor-to-ceiling glass walls and windows that will take full advantage of the picturesque setting. Kitchens will feature flair like European-style cabinetry and top-of-the-line appliances and bathrooms will be the perfect place to escape to enjoy large soaking tubs and premium fixtures. Each place has plenty of space, with square footage options ranging from 2,252 to 3,692. Those with a boat to float, or flaunt, will especially enjoy the convenience of the full-service full-service marina and floating docks that can accommodate vessels measuring from 35 to 60 feet in length. The Westshore Marina District is a luxury neighborhood that has condos, townhomes, and apartments that are within walking distance from all of your necessities. Want to know about other up-and-coming real estate projects in Tampa Bay? Simply register at 813area or 727area. It's easy and free!